Ashtavinayak Hospitality is located in the midst of the most happening malls of Mumbai. The rooms are filled with simplistic and homely vibes with sombre walls, small potted plant, and patterned curtains. 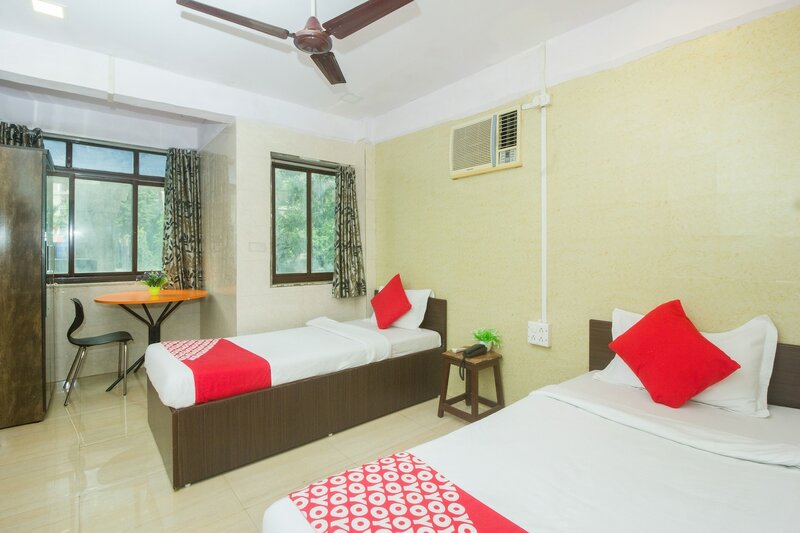 The hotel provides for all your travel requirements and even provides a parking facility in this space-strained city along with parking facility, laundry service, and dining area. Beat the heat and humidity of Mumbai by exploring the cosmopolitan city through its malls and restaurants serving all kinds of international cuisine. Check out Pop Tates for green thai curry and amazing sizzlers. And if you are craving for the popular Mumbai snacks such as the vada pav, missal pav and sev puri, then MM and Sabkuch are the ones you're looking for.